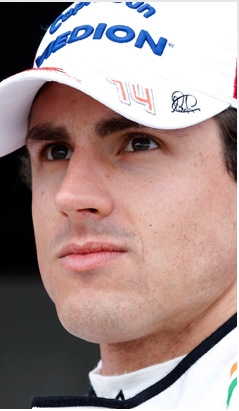 Adrian Sutil took his time in sorting out a fresh contract at Force India, but now he must quickly prove that he has the talent to finally deliver in Formula 1. The German has left onlookers in no doubt that on his day he can mix it right at the front, but still he has not silenced the doubters who think he makes too many mistakes. With the highly rated Paul di Resta alongside him this year, Sutil will have a team-mate ready to push him for everything he has got - and it will be a case of sink or swim for his long-term career in 2011.